For this activity task, group members should try out one another’s suggestions and comment on them. Your tutor will comment on your suggestions along with other group members. I found Kate’s suggestion to try out Dipity quite interesting. She introduced that tool quite a while ago and presented us a timeline produced with Dipity. I searched Dipity for a timeline and found one on the history of elearning. I pondered what I could suggest and draw first a blank, but then I recalled the infoshop about class blogs that I attended at an elearning exhibition on 24 May 2011. Well, you might think blogging is not really to innovative, but for my school it would, and I want to introduce blogging to my classes but was so far not really satisfied with the features that Moodle offers, and thought about using a free external blogging service like WordPress or blogger, but was worried about privacy issues. The contributor introduced WordPress buddy. 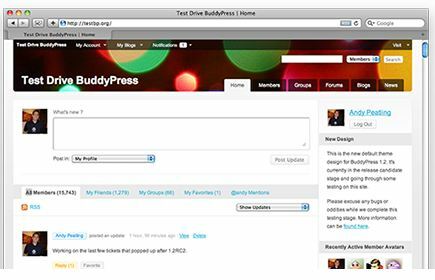 WordPress buddy or BuddyPress is actually a plugin, but WordPress offers a tool quite similar to Moodle or other VLE for free, except that you need a web hosting service or use the one of your school. It is a closed environment, so no real privacy issues, each student can create and design its own blog, there is as well a forum option, chat, etc. I found that quite an interesting solution, because I pondered quite a while how could realize to combine all the blogs from my students in one single class blog. Well, that was an option.